A few months ago, a colleague and I travelled together back to Manchester late one evening after long delays at Euston station. Settling down for the journey after a long day we took the opportunity to put our computer screens away and think creatively. We’d received the first design of a pin badge for AHPs into Action and it had sparked some conversations amongst the team. As we made our way home we chatted about what we wanted the badge to look like, what it should represent, and how it could help spark conversations about the allied health professions and their services. As we played with different ideas the answer was there in front of us – the AHP logo. Well established now through AHPs into Action, the dark pink circles of the logo represent each of the 14 allied professions around the blue of the NHS, representing our shared purpose – that of galvanising our amazing professions, and truly realising their roles in transforming health, care and wellbeing. ‘It’s just a badge’ I hear you say? Well, yes and no. It signals the growing sense of collective identity, and pride, amongst AHPs. ‘But it doesn’t say anything?’ That’s what we wanted – something visually striking yet simple that helps to start that conversation about what it is, what it represents and more. Fast forward three months and over 5,000 AHPs in England now wear the pin badge. Through AHPs Day this week we saw the AHP logo being used by NHS organisations and AHPs around England. Nearly 6,000 people shared their plans, activity and comments via #AHPsDay on twitter in over 17,000 tweets in just 24 hours, and not only from the UK but from Australia, New Zealand, America and more. The focus of AHPs day was doing something that was meaningful and useful to you, your service and patients. The leadership demonstrated by so many AHPs organising events in their organisations demonstrated both their creativity and dedication to this. I say this to so many people and groups I meet through my role here at NHS England: if you give AHPs the opportunity to engage they will step forward with enthusiasm and commitment. AHPs Day was a fantastic example of this. John Kotter provided eight steps to leading change. Through AHPs into Action we are seeing that sense of urgency, a powerful coalition of AHPs coming together, and a clear vision for change. AHPs into Action is more than a framework, it’s a five year programme of work and as we look back at AHPs’ Day as a national leadership team we continue to be committed to building on success so far and helping you to enable action in your localities and services. AHPs Day was AHPs into Action, so thank you to Carrie Biddle and Rachael Brandreth for leading the day, and to all of you who took part with such enthusiasm. 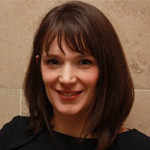 Naomi McVey is Head of Programmes for the Chief Allied Health Professions (AHP) Officer at NHS England. She is responsible for overseeing the national programme on implementing AHPs into Action, the framework for the 14 allied health professions in England; working closely with other arm’s length bodies and a range of national and local stakeholders. She is also a NICE Fellow, focusing on supporting AHPs to understand, engage with and implement NICE guidance. As a physiotherapist, Naomi specialised in rehabilitation for older people, and worked in range of clinical and managerial roles in the NHS before moving to improvement and transformation in roles at NICE and Health Education England.